Monument Valley 2, the sequel to one of the most highly-beloved iPhone games of all time, has seen wild success in the year since its launch. 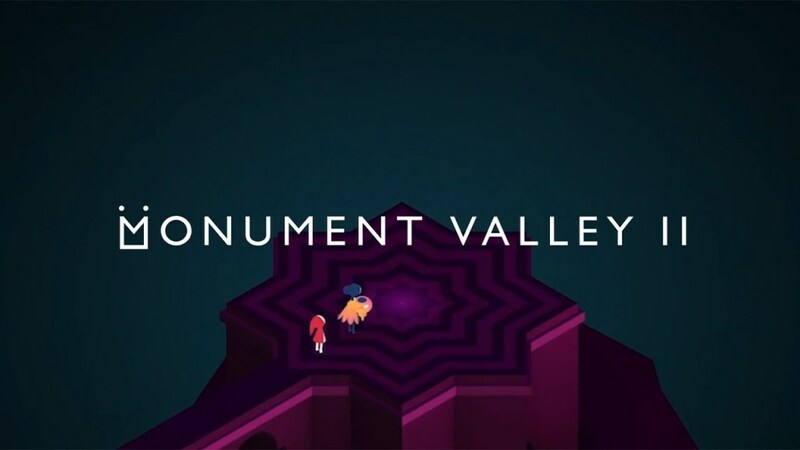 A new Medium post from Ustwo Games, Monument Valley‘s developer, announced that the sequel took in more than $10 million USD in its first year, topping the $5.8 million the original made in its initial 12 months. This means that the sequel was far more popular than its predecessor, nearly doubling in revenue for Ustwo Games in that first year. 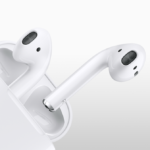 One might remember that Monument Valley 2 was unveiled in a surprise announcement at last year’s WWDC and became immediately available later that day in the App Store – a platform that certainly helped in the game’s initial exposure and sales, allowing the game to pull in $728,000 USD on its launch day alone. 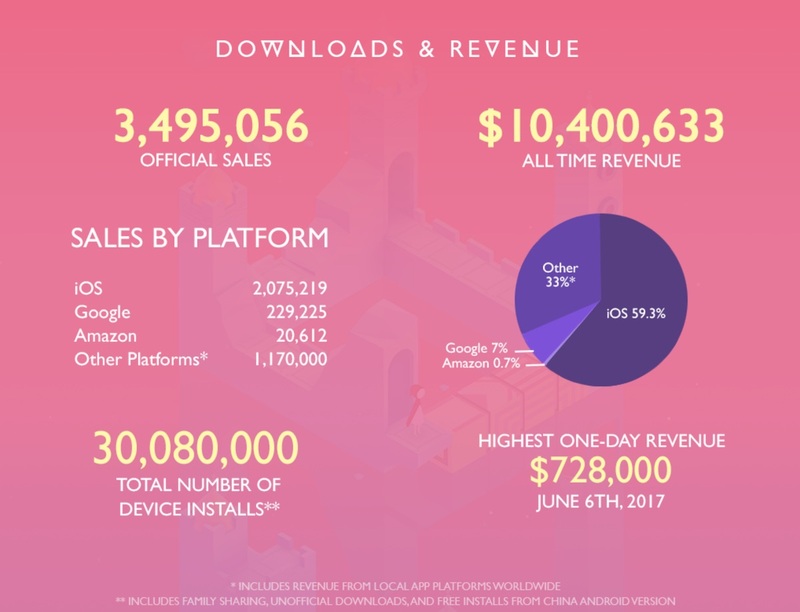 Comparatively, the original Monument Valley‘s highest one-day revenue hit $145,530 USD on April 3, 2014, also on the day of its launch. A large part of the game’s success was due to its availability in China, which accounted for a whopping 62 percent of all Monument Valley 2 sales compared to 16 percent for the United States, the game’s next biggest market. Additionally, being a sequel, Monument Valley 2 was already expected by millions of players who already knew what to expect. Monument Valley 2 did cost significantly more expensive than the first iteration, however – $2.2 million USD compared to the original’s $1.4 million. Part of this was due to the doubling of the development team from eight to 16, increased marketing costs, and the fact that London is an expensive city in which to develop a game. Monument Valley 2‘s success is a clear example of premium mobile game staking out their claim in the mobile world, a place dominated by free-to-play and “freemium” games. With that success, Ustwo Games now has a new degree of freedom in choosing their next project. Check out UsTwo Games’ entire infographic on their Medium post here.